Autumn is my favourite time of year – when the air turns crisp for the first time, your knits and faux furs get their first outing and excessive tea drinking is a necessity. Most of all my love of Autumn stems from hitting the refresh button. Maybe it’s ingrained in to us because of school but every Autumn I like to reassess and restart. With that said I’d like to welcome you back to the blog! With video content taking the limelight I had neglected my little old blog but like everything in life you should never forget your roots and where it all began. I lived in London most of my twenties and over the years had built pretty solid friendship groups around me. Although independent since the age of nineteen a few years ago I decided to take a life sabbatical and retreat back up north to my parents for an unplanned two years. To take a breather – to reflect – to get perspective back. It wasn’t something I liked to share at the time, nor was is it part of my life plan, but it ended up being the best thing I ever did. Maybe it’s because I needed the time out to to see things clearly or maybe it’s just because I’m older but I suddenly realised how toxic some of my friendship groups actually were. By toxic I don’t mean radioactive but in more of a subtle sense – do these people lift me up or tear me down? I’m talking in a very indirect way, something that I’d definitely not even noticed in my early twenties. If you spend the day with a friend do you leave feeling uplifted, motivated, inspired or do you leave feeling not very good about yourself? 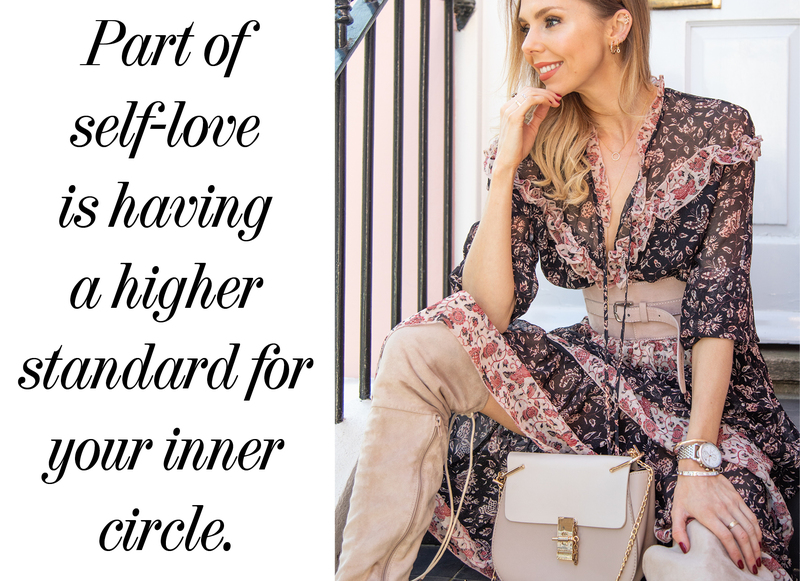 Surrounding yourself with positive influence is so important, part of self-love is having a higher standard for your inner circle. 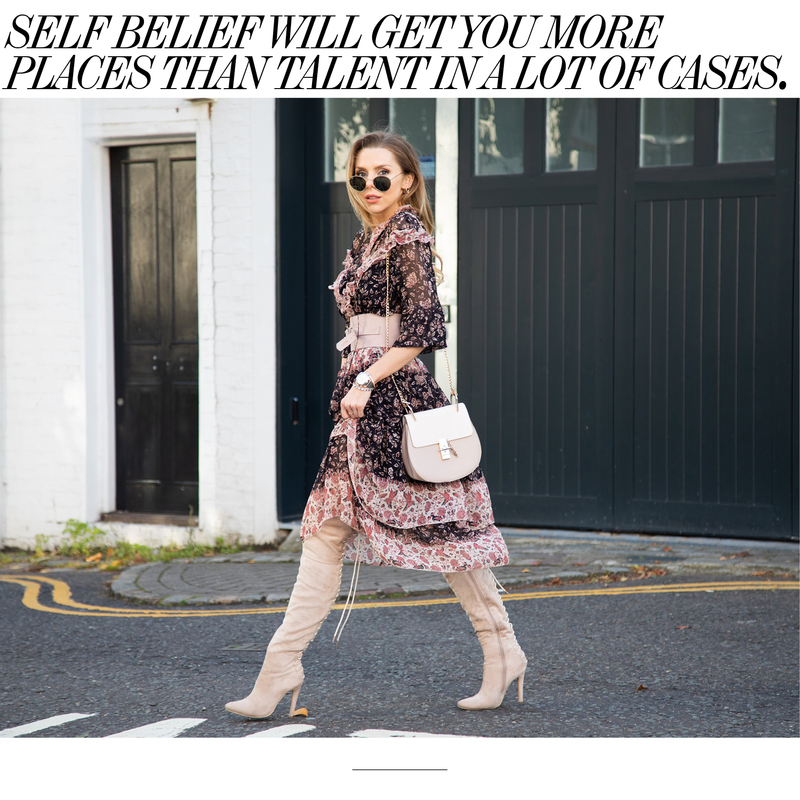 I started dabbling in the the blogging world around five years ago now, a time when it was barely unheard of to the majority and definitely more of a rarity in my age group than the younger generations. So when I started picking up a camera and talking to myself it was interesting to see how the people around me reacted. It was different. People usually laugh and make fun of different things – that’s why if you don’t fit in at school you’re usually bullied. If only we’re taught in school that if you’re different or doing something different you’re usually on to a good thing. If you suddenly started wearing a different style of clothing or a drastic haircut no doubt you will have to fend off a few digs or generally put up with people taking the piss for a little while. However if you do it enough times, something that started off as unusual will become the norm and people will get used to it. So never let the judgement of others stop you from experimenting or going for things because whatever you do it will become normal after a while. I can assure you no one bats an eye at me vlogging anymore – it’s become so standard in my friendship groups and family that everyone just kind of expects me to come with camera. The best bit is those that laughed and made me feel silly at the start are in fact the very people that now ask me how to do it. Differentiate your good friends from your good time friends. It’s okay to spend time with your good time friends for a good time but just be aware they won’t be there in the bad times. We live in such an amazing era that we can pretty much do whatever we wish to do. The internet has given us a platform to express whatever genre we are passionate about. As you can tell I am very passionate about shoes. It’s the era of self promotion and do not be afraid to do it! A couple of my friends recently were telling me how they weren’t happy in their jobs. I asked each one what it was they really wanted to do and as they did self-doubt flicked across their face. It told them to just do it. Work hard at it and do it, because there is someone less capable than them doing it right now just because they believe they can. Self belief will get you more places than talent in a lot of cases. Something can seem so out of reach but if you chip away at it everyday for a year you will be surprised how fast a year flies and how easy your dreams can be achieved. This time last year I lived at home in my parents house with the worst acne I’ve ever seen hiding away scared to even talk about beauty on the internet because of I felt like a monster. Fast forward a year and I live in my own place in London and just signed a contract with both Dior and Marc Jacobs beauty something that I always dreamt of. Don’t give up because you never know you could have given up just before it’s about to take off. Let’s talk about fashion – my fave – and probably why you’re all here. Every fashion month I sit down with a gigantic mug of tea and head for Vogue Archives – for those of you that haven’t ever headed to this sacred place… you need to. I scour through every runway show from AW18 and SS19 so I know what will be trending and where fashion will be heading. It also makes me really reflect on my personal style. You may have noticed on my Instagram and it’s about to hit my Youtube but the upcoming content has taken a slightly different tone. I really wanted to work on casual, wearable, fashion – she says in killer thigh high heels. You will be seeing a lot more flats, sweaters, jeans and just things that ooze everyday comfort in a very ‘fash’ way. Firstly this outfit. This style fits into a genre I’m going to call ‘The Chlo-street Edit’ which in effect is Chloé on a budget. Chloé is one of my favourite designers all year round so I wanted to try and achieve a similar vibe on the high-street. You may have noticed on my Youtube channel I like to take a designer and do this quite often (you can watch the Dior get-the-look here). This look is also perfect for the transition period – which we are still well and truly in as October is still weirdly warm here in the UK. Those floaty floral numbers you picked up in the summer are perfect to pair with winter boots, thick tights and knits. This little number I picked up from H&M but I’ve also so scrawled the internet to find you the perfect collection of Chlo-street inspired items. Happy shopping!